KAMPALA – The on-going Makerere University guild president campaigns have been dominated by promises from candidates to fight the 15% tuition increment that was implemented last year. 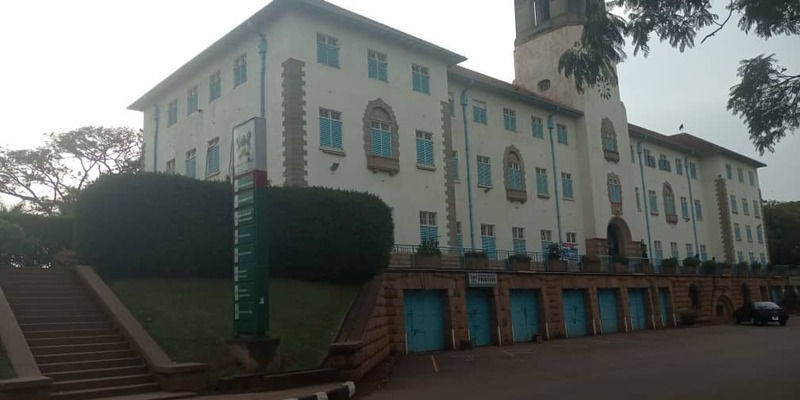 During the rally that was held at Lumumba Hall on Tuesday, March 12, several students aspiring for the guild presidency promised to sort out the tuition increment, saying many students come from poor backgrounds and cannot mobilise the additional funds. Mr. David Musiri promises to make sure the 15% that was increased on tuition is scrapped off. “I will make sure there is accountability for all the money you pay. Campus FM was sold to Salt FM but we do not know where that money was taken. I am here for accountability,” he said. All of the six candidates that presented their manifestos to the students that day were against the current administration’s policies. However, Mr. Joshua Mukisa, a third-year student of Bachelor of Laws used very hard terminologies that left students in amusement as they did not understand what he meant. During the campaigns, the only female guild president aspirant in this year’s race, Ms. Milly Namuddu did not appear for the rally at Lumumba for unknown reasons. Even when there was a heavy deployment at Lumumba Hall because police expected some violence as characterised by all the rallies that take place at the hall, students exhibited discipline from the beginning to the end of the rally. The guild campaigns are scheduled to end today Thursday, March 15 at the freedom square.